India’s economy has experienced tremendous growth in urban industries such as services and information technology. However, around 172 million Indians continue to live in poverty and of these, 69 percent live in rural areas. More than two-thirds of the population depends on agriculture—mostly at a small-scale or subsistence level—for their livelihoods. Strengthen value chains: We work closely with smallholder farmers to enable them to grow high-value products, engage with private-sector companies and sell in profitable markets. Foster entrepreneurship in poor communities: We provide business training and skills development support to women and men who want to create thriving, sustainable enterprises. Support sustainable local economic development: Our market-led approach increases incomes for target groups, while also catalyzing economic and social development for the whole community. Promote gender-inclusive communities: We integrate a gender lens throughout our programs and provide tailored support for women to expand their opportunities for sustainable livelihoods. TechnoServe is working with Goldman Sachs on a pilot project aimed at creating and improving Access to Finance (A2F) for small women entrepreneurs, engaged in agricultural and allied businesses. A2F for women-led businesses is a priority area for Goldman Sachs in India, and this program in Bihar is expected to serve as an effective testing ground for understanding the challenges faced by women-led, agri- and allied businesses in the rural context. The goal of this project is to improve the livelihood of rural households and to promote greater gender equity by promoting rural women entrepreneurship. Contributing to the project goal, the intended outcome of the project is to increase A2F to rural women entrepreneurs. TechnoServe, in partnership with Visa Inc., is implementing a program, in the Khargone and Bharwani districts of Madhya Pradesh, to bolster the economic empowerment of smallholder women farmers by improving their participation in farmer producer organizations. By engaging with the farmer producer organizations, smallholder female farmers within key agribusiness sectors will benefit from increased negotiating power, providing greater transparency and better price realization for their produce. Through this program, we will work with 4,500 women farmers across three farmer producer organizations over a period of 12 months. TechnoServe is a designated Technical Support Agency for the National Rural Livelihoods Promotion Society (NRLPS) with the mandate to set up Value Chain Support Cell (VCSC) to provide technical assistance and capacity-building support to participating State Rural Livelihood Missions (SRLMs) in the development of commodity value chains and market linkages in the Agriculture and Allied, Livestock and Non-Timber Forest Products sub-sectors. The VCSC will provide technical assistance and support to SRLMs in developing projects within these sectors that are profitable, bankable, and self-sustaining in the long run. In its current phase, TechnoServe is working to capacitate state level implementation agencies across the six identified states of Assam, Rajasthan, Madhya Pradesh, Uttar Pradesh, Chhattisgarh, and Jharkhand. TechnoServe’s Youth Employability program began in 2015, and is being implemented across urban hubs in partnership with various private donors committed to the cause of youth employability and skills development. The program enables youth empowerment by delivering a hands-on, interactive blend of skills training, career counseling, and corporate linkages, to facilitate better income prospects and respectable livelihoods for youth living in the slums of Mumbai. The underlying objective of the program is to enable these youth to build a growth mind-set, acquire leadership, financial and workplace skills, and begin to engage in the formal economy through their first job. The program is designed to address the key challenges faced by high performing college attending/college educated youth living in slums, and unlock their economic potential by helping them secure gainful employment. Over the last three years, the program has trained ~3000 youth living in slums. In 2018-19, the program aims to train an additional 5,000 youth, across ~50 College Centres in Mumbai, with a target placement rate of at least 70 percent. TechnoServe is working with five Farmer Producer Companies (FPCs) in the districts of Guna, Narsinghpur, Vidisha, Sheopur and Dindori in Madhya Pradesh in the wheat and maize value chains, helping to build them into sustainable businesses that work to the benefit of their member farmers. The project is focused on deepening smallholder farmer member engagement through targeted agronomic training to wheat and maize farmers through the FPCs, and improving wheat and maize smallholder farmers' access to various value-added services such as rent-based mechanization, access to seeds, milling, etc. The project is supporting more than 3,000 smallholder farmers by providing agronomy trainings and by helping access to value added inputs and services channels through FPCs. At least 30 percent of project beneficiaries are women farmers. 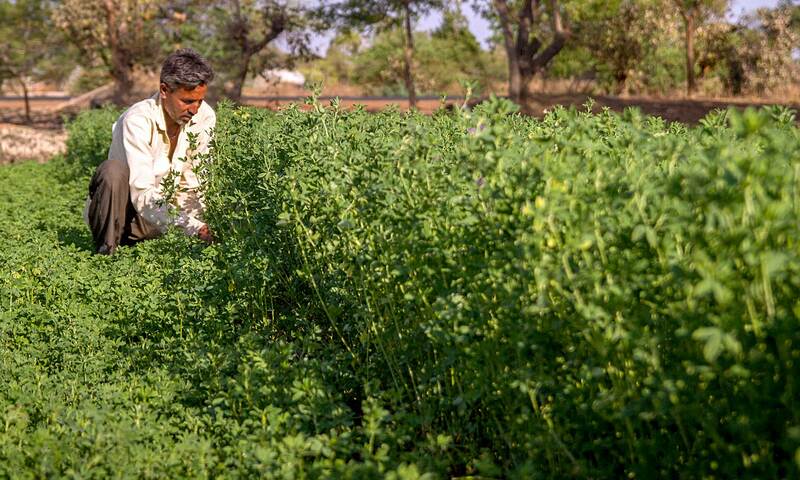 TechnoServe is implementing Sustainable Guar Initiative (SGI) in Bikaner, Rajasthan, to conceive, demonstrate, and refine scalable actions for an inclusive, sustainable growth of the Guar production system in India. Launched in partnership with Solvay, L’Oreal and Henkel and HiChem, SGI aims to enhance livelihood opportunities for smallholder guar farmers and lead to their economic development. SGI aims to achieve this through the promotion of agronomic and groundwater-neutral best practices in guar cultivation in order to build climate resilience, thus enhancing productivity. SGI has also been working to create a market system that maximizes flexibility, resilience, and responsiveness. To this end, we have undertaken several traceability initiatives to integrate farmers directly into the supply chains of institutional buyers. 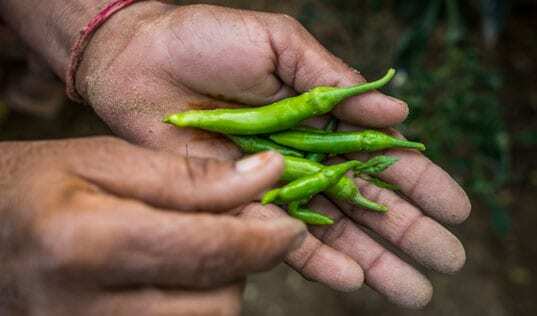 Additionally, we have also facilitated the set-up of a Farmer Producer Company, which will help institutional buyers significantly scale up their procurement of sustainable guar from our program farmers in the long run. Over the last 3 years, the program has registered 7,340 farmers and has led to the procurement of 800MT of traceable guar by HiChem to date. The program in its current phase aims to achieve a 25 percent increase in revenue for 75 percent of the engaged farmers by 2020. TechnoServe is implementing Project Saathi, a livelihoods support program in partnership with Cargill, for 5,000 smallholder farming households in the Davangere district of Karnataka. The key objective of the program is to insulate household incomes and provide holistic livelihood opportunities for the entire household. To this end, the program has adopted a multi-pronged approach, including components such as agriculture development and diversification, creation of livelihood opportunities for youth through the Cargill Agri-Fellows program, and economic empowerment opportunities for women, etc. To date, the program has trained 5,000 participating farmers to adopt enhanced and diversified agricultural practices to increase productivity, leading to a 40 percent increase in incomes for the participating farmers, and supported 25 Cargill Agri-Fellows to set up their own agri-enterprises. This program targets growth-constrained, women-led small and microenterprises, operating in the unorganized or informal sector in the Mumbai urban area. Potential enterprises would have an annual turnover exceeding $10,000, with a significant number expected to be operating in the social and services sectors. The program includes training of women entrepreneurs selected through a screening process, and a business advisory program including mentoring support for identified women most positioned to scale up their businesses. TechnoServe is implementing Women’s Advancement in Rural Development & Agriculture (WARDA), a Bill & Melinda Gates Foundation funded program, in partnership with Bihar Transformative Development Project in close coordination with JEEViKA (under the aegis of the Government of Bihar). WARDA develops approaches for graduating women smallholder farmers out of poverty through market-led Farmer Producer Organizations (FPOs). The program works toward the development of gender-sensitive agricultural value chains and provides technical assistance to market competitive, women-only FPOs. WARDA has pioneered several innovative measures to support smallholder women farmers and has demonstrated the use of new-age technology to successfully pilot and scale up interventions for economically empowering women who are usually heavily dependent on their male counterparts for their sustenance. The program integrates smallholder women farmers into agricultural supply chains and market systems thereby improving their economic status, reducing poverty, bridging gender gaps, and fostering healthy and inclusive communities. The program has the potential to create large scale, sustainable impact on the overall economic development of Bihar and demonstrate a market-oriented model for women’s economic empowerment that can be replicated across other parts of the country. India is the world’s largest producer of dairy products, but the industry faces a variety of challenges. Abbott Nutrition is in the process of opening new supply chains in India to meet growing demand. This project aims to improve the quantity and quality of milk available while improving farmer livelihoods and income. TechnoServe has undertaken an intensive study of the local dairy value chain and is guiding the location of collection centers and route plans to maximize efficiency. 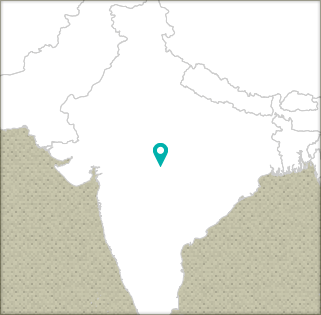 Download an overview of our work across India.